Calm your belly long enough to look past the first layer of main street après spots and you’ll discover a Japanese day-to-day culture that exists symbiotically with the Western ski town vibe. 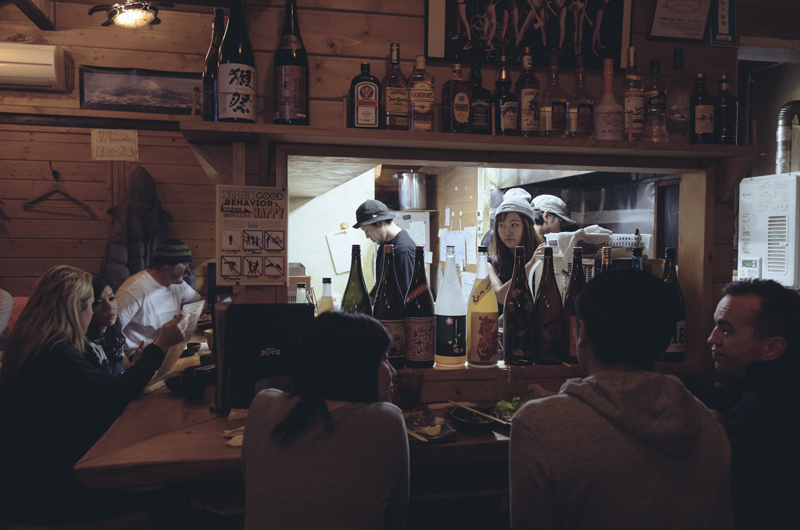 Luckily you don’t have to look far to discover Ebisutei, a snug izakaya located just down the hill from the Hirafu intersection. Owner operator Shingo-san fell in love with Niseko’s epic powder snow back in 2001, and settled down to open a laid-back izakaya in Hirafu’s relatively peaceful lower village. My local friends assure me that Ebisutei is an authentic izakaya, so every time I have the pleasure of dining there I consider myself at least 85% Japanese. The restaurant is pleasantly set out, and the sizzle of smells from the open kitchen ensures the wooden interior is both warm and inviting. Ebisutei is known as one of the only dinner spots in Niseko that offers oden, a tasty stew of savouries in a salty broth. I am not quite Japanese enough to order the random brew of konjac, fish balls and boiled eggs as my main dinner dish but it will certainly warm your belly after a day in the cold. Once I have fulfilled my obligation as an honorary Japanese by sampling the oden, I feel I can move on to the additional delights of Ebisutei’s vast menu. One of the best kept secrets of the Japanese is salad dressing, which is in full effect in Ebisutei’s Special Salad. There is a dob of tasty mash on top that you’ll all be fighting to finish off, and the garnish of crispy chips make a pleasant contrast to the fresh greens. Ebisutei’s Fresh Avocado and Prawn Spring Rolls are bursting with greenery and make a nice accompaniment to the fried dishes on offer. I’m a sucker for deep fried oysters – deep fried anything really – and Shingo-san serves his on the half shell, which somehow makes them more delicious. I was also a fan of the Cheese and Potato Croquette, a typical izakaya offering which doesn’t disappoint. I’d like to give a shout out to the Crab Fried Rice, which is perfectly cooked without the oiliness of regular fast food versions. Grilled Hokke is the quintessential izakaya dish and Ebisutei serves up a generous portion which is grilled to the ideal level of flaky tenderness. 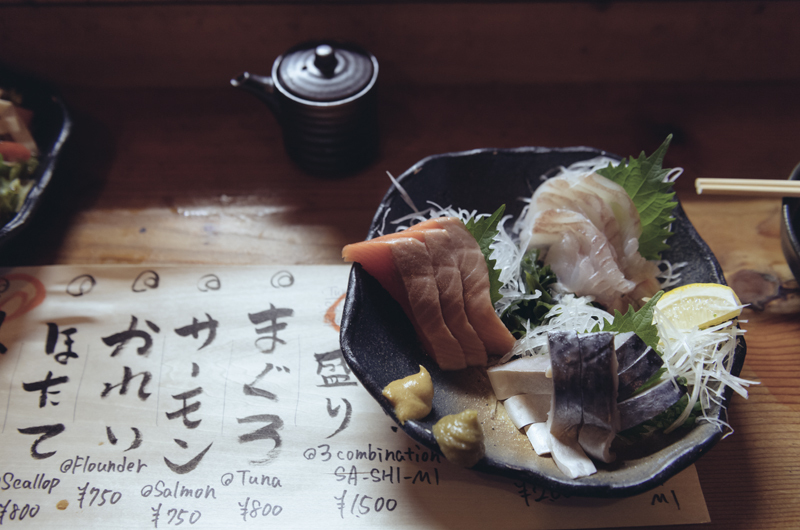 Other offerings include everything from Pan Fried Udon to BBQ Beef Loin, and the relaxed nature of the restaurant invites you to order in staggered intervals in accordance with your stomach’s desires – just one of many reasons I love izakaya! 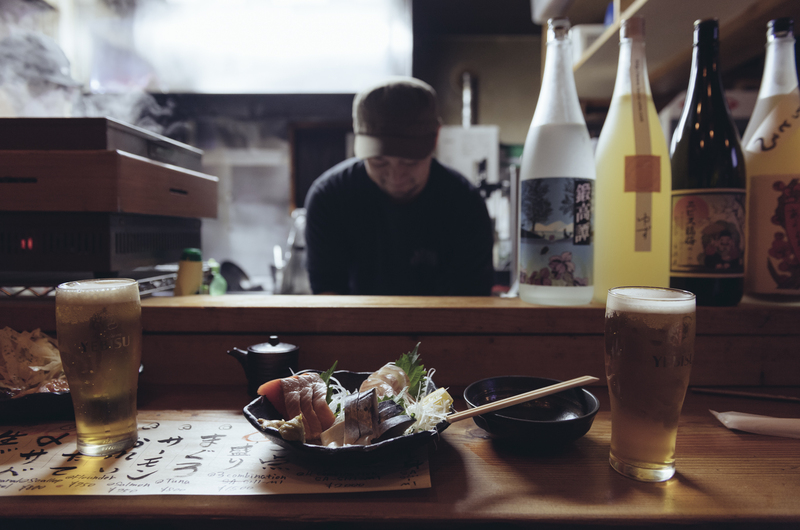 If you’re looking for an authentic Japanese experience, pop down to Ebisutei to have a draught Yebisu with me and my local homies – we’ll have a bowl of oden waiting for you.